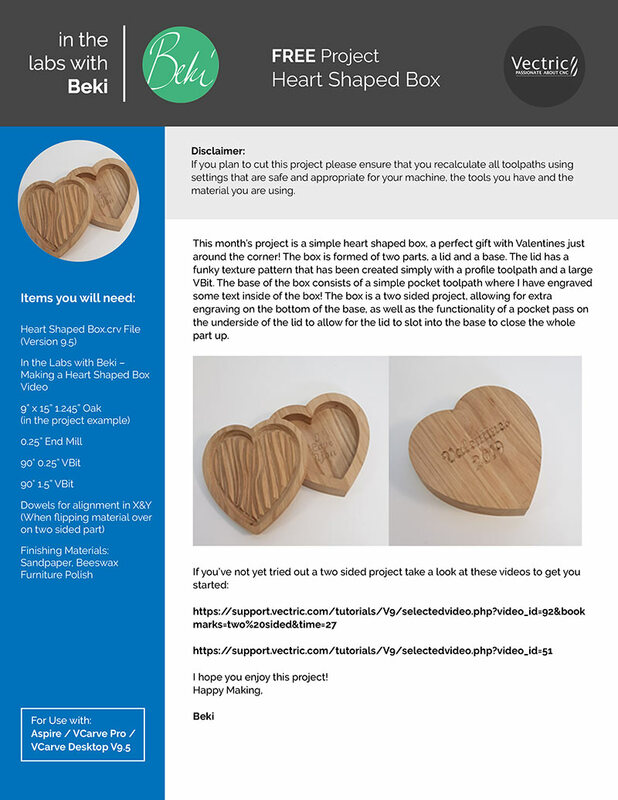 This month’s project is a simple heart shaped box, a perfect gift with Valentines just around the corner! The box is formed of two parts, a lid and a base. The lid has a funky texture pattern that has been created simply with a profile toolpath and a large VBit. The base of the box consists of a simple pocket toolpath where I have engraved some text inside of the box! The box is a two sided project, allowing for extra engraving on the bottom of the base, as well as the functionality of a pocket pass on the underside of the lid to allow for the lid to slot into the base to close the whole part up.